There are two things that bring us all together: Christmas and food! So what could be better than finding the most exquisite foodie gift ideas this holiday season? Whether you need something for a special family member or perhaps you’re looking for a perfect gift for the New Year’s Eve party host? 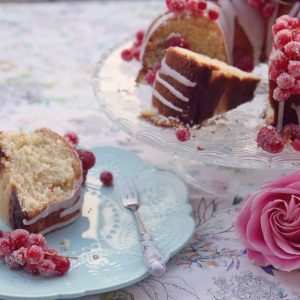 Here is a whole range of beautiful and tasty gifts guaranteed to delight foodies! Treat your loved ones to the gift of easy cooking this year with a Crock-Pot Slow Cooker. 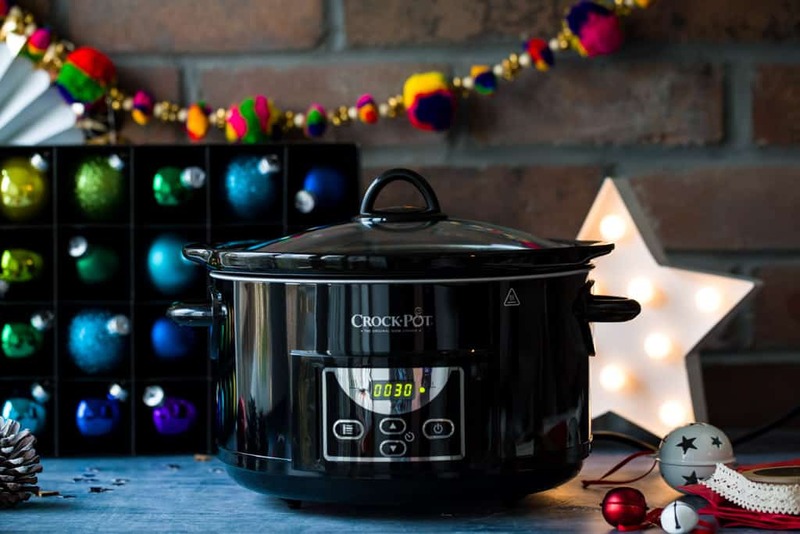 This digital countdown slow cooker holds 4.7L of your favourite dish and will truly revolutionise the way you prepare your family meals, dramatically reducing the amount of time you need to spend in the kitchen. The 4.7L capacity feeds up to six people and features a built-in 20-hour digital timer letting you plan your meals ahead – just place your ingredients in the sturdy, oven-safe stoneware bowl, select your choice of ‘High’ or ‘Low’ heat settings, select the time you want to cook for and go. It’s ideal for a whole range of dishes from starters and soups to stews and even desserts. Did you know you can make things like hot chocolate and giant cookies in a Crock-Pot? Mind blown! Thanks to the digital timer you can ‘set and forget’ meaning the Crock-Pot will automatically switch off once the time you set has finished. The Crock-Pot also has an auto-warm feature to keep your meals warm until you are ready. 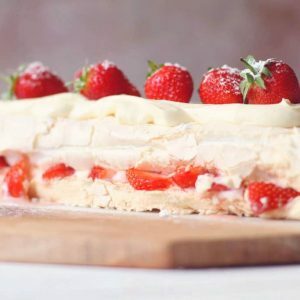 There are recipes included and also a 2-year guarantee. There was once a time when I’d ask for jewellery or perfume for Christmas but those days are over. Instead, I ask for things like pans. True story! For a foodie like me (and you) decent pans are EVERYTHING. I love this Berghoff Saute Pan for a few reasons. First it’s a really good size with a lid; second it’s non-stick; and third, the handle is removable which means I can start dishes off on the hob and finish them in the oven. G-E-N-I-U-S. And there’s a bloomin’ 10-year guarantee too, which basically means Berghoff is a truly quality brand that will last and last. I love it. 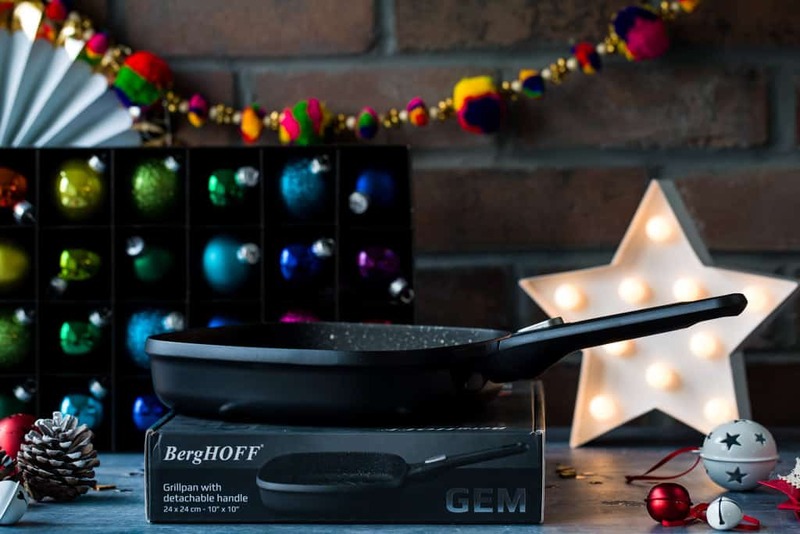 This Berghoff Frying Pan comes with a detachable handle just like the saute pan, this means you can easily transfer from the hob to the oven. It’s cast aluminium with a non-stick coating and also comes with a 10-year guarantee. If you are looking for high-quality pans to cook with this season, then Berghoff should be your first choice. 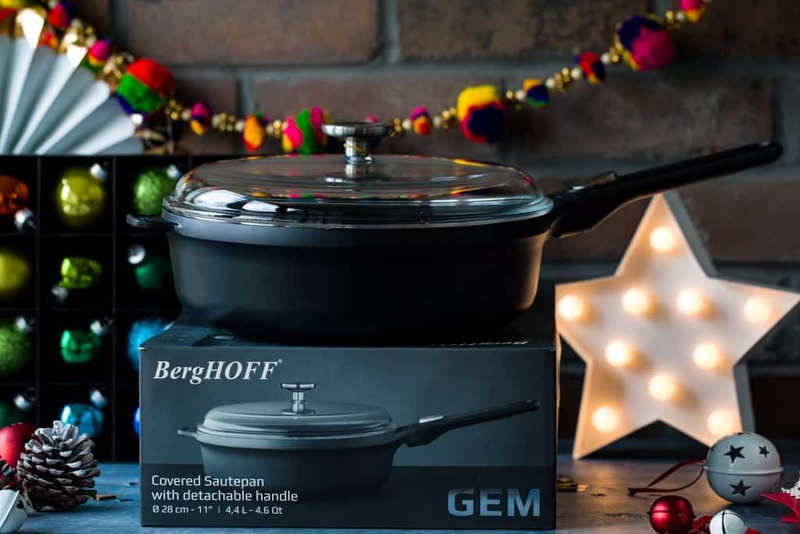 The Berghoff saute pan and this frying pan are in the sale GO GO GO! Peacock feathers, emerald green and art deco are all in vogue for another year. 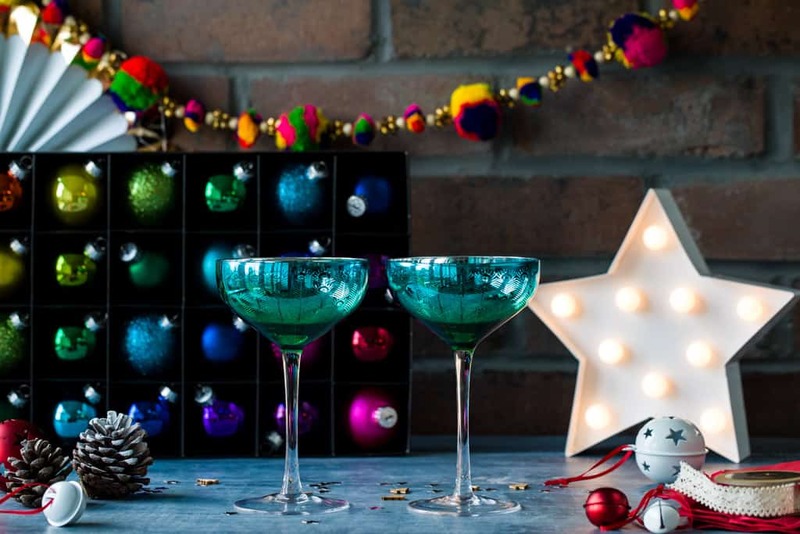 These stunningly designed electroplated mouth blown glass champagne saucers are gorgeous. They are silver on the inside and the outside changes from turquoise to metallic blue! Decorated with a beautiful Peacock Feather design all the way around the glass these Artland Peacock Champagne Saucers will make a wonderful addition to your Christmas dinner table. 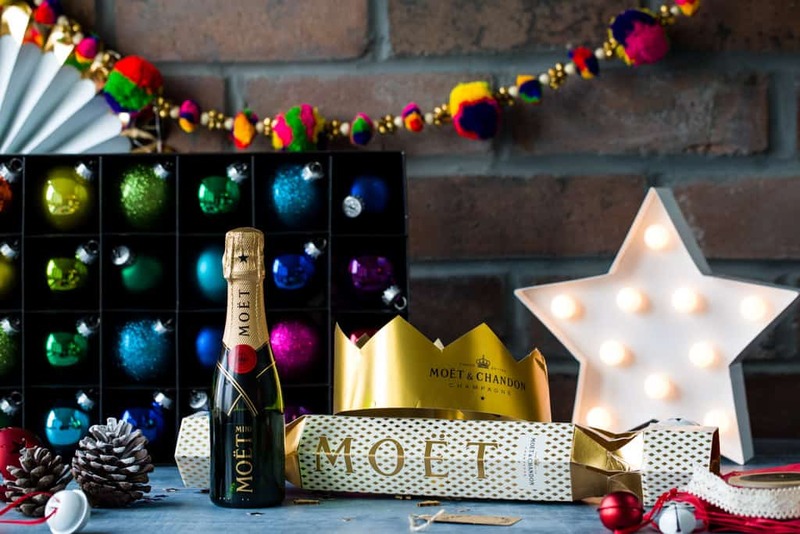 A lovely treat-sized 20cl bottle of the iconic Möet et Chandon Champagne in a super stylish Christmas cracker! Fun fact: Möet is pronounced with a hard ‘t’. What could impress your parents (or yourselves) more than an alcohol subscription service? Nothing that’s what! The Summerton Club offers a premium spirits subscription box, where you receive a fantastic aged spirit, delivered to your door each month. The founder of The Summerton Club saw a gap in the market for a premium service when he was searching for a Christmas subscription for his Dad but couldn’t find one. His vision was to ensure each month his customers would get an element of surprise and excitment discovering which bottle they would receive. Every month the bottle had to be different and not just something that can be easily picked up in the supermarket. 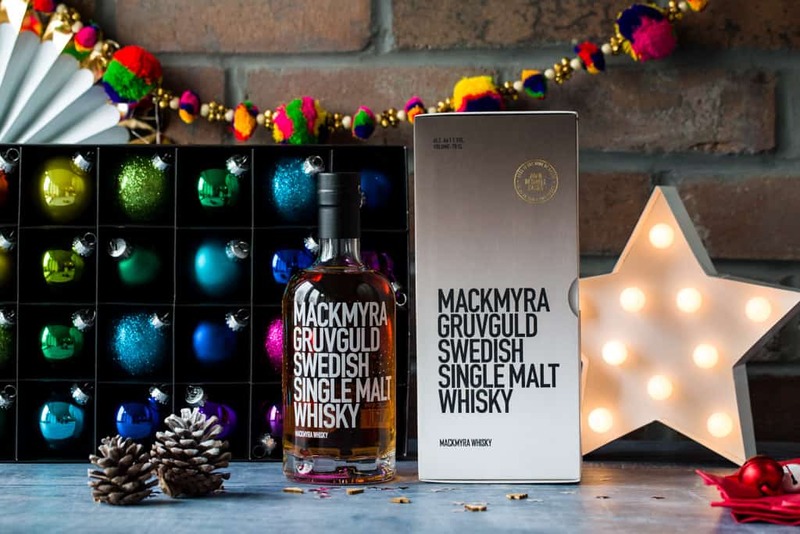 I received a bottle of Swedish Single Malt Whisky and as soon as I opened the box to reveal the beautiful bottle I could see just how special it is. To get a bottle in time for Christmas, the gift or subscription needs to be purchased by 4th December, however, you can still be purchase after this date and the January bottle will be your first delivery. Such a brilliant gift idea. Mission accomplished Summerton Club! Stuck for a gift for the man in your life? This Craft Beer Boxset contains an amazing selection of craft beer and I must say it’s the best-packaged beer I’ve ever seen. I love the quirky way this set has been presented as beer book titles. I’ll take a ‘Room with a Brew’ please! No more trying to wrap awkward bottles, the recipient will be thrilled to open this glossy gift box and peruse by title. An excellent variety of 8 beers from different independent breweries. 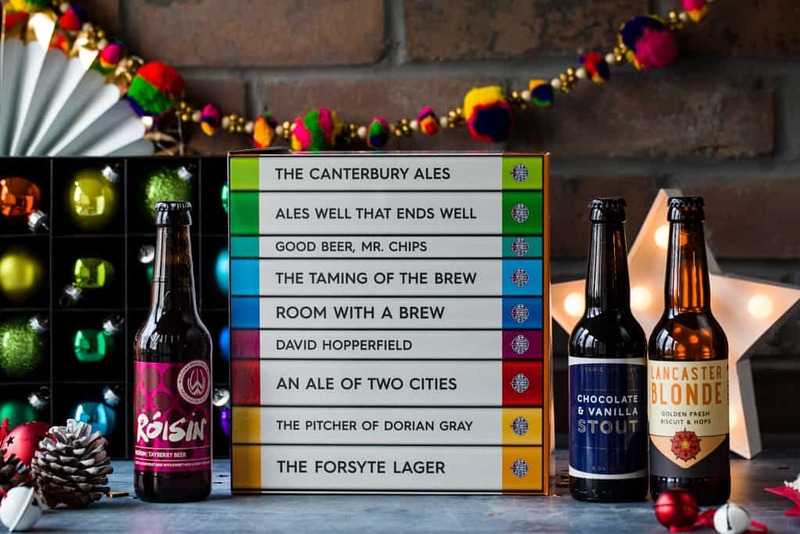 You’ll be inspired to come up with your own beery puns once you’ve cracked this giftset open! It might be the season of giving but you can shop for yourself. Am-I-right? This VonShef Cocktail Set from Domu, is the perfect gift to you for the holiday season. With Christmas and New Years parties on the way, why not create and serve up your cocktails in style. The green and gold colours of this set are so festive, and you will be the envy of the party when everyone realises what a mixology pro you are – they’ll want a set for themselves! Decorate the tree with gin this year! Six colourful and fun baubles filled with spectacular Pickering’s Gin all capped with a rose gold lid and a red silk ribbon. 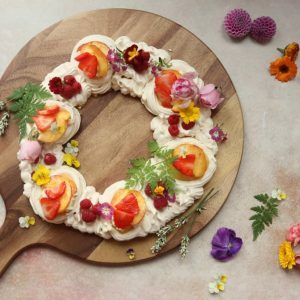 They will look beautiful on the tree and taste delicious as you sample them one by one. 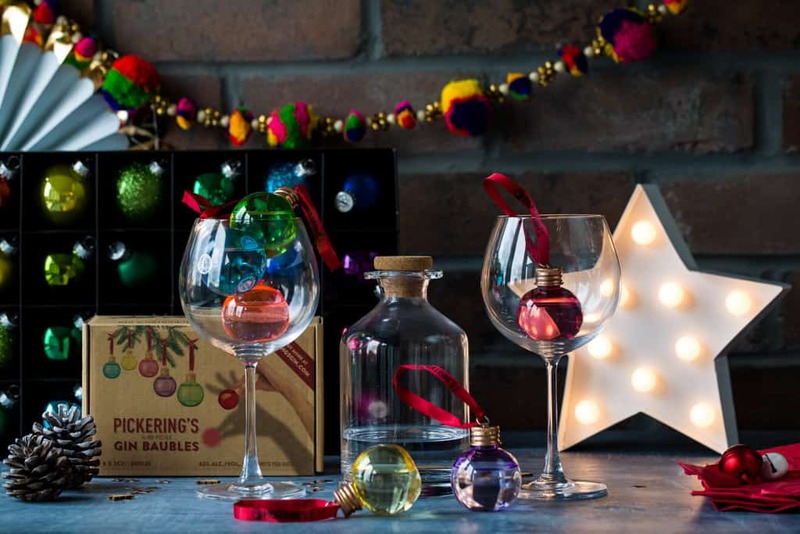 A perfect gift for anyone who loves Gin, baubles and Christmas! The Pickering’s gin baubles are photographed in and alongside this beautiful Glass Gin Decanter and 2 Balloon Gin Glasses from Domu. Do you know a coffee lover? Of course, you do! Well, why not get a subscription of speciality coffee and chocolate delivered straight to their door? 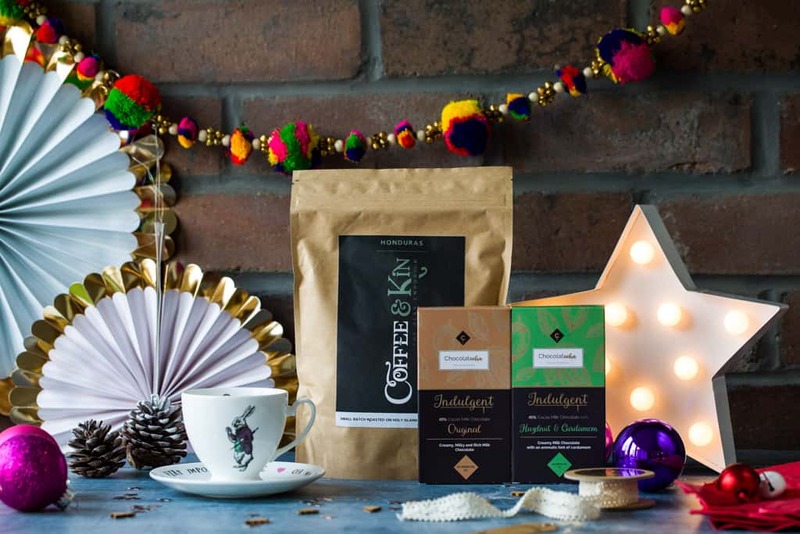 This Christmas, Coffee and Kin will deliver a whole month’s worth of coffee (beans/ground coffee or compostable coffee pods), 200g of Artistan Chocolate (milk, dark or a mix) plus a special gift to your door. There are two choices of coffee – regular or speciality. Speciality is the tastiest and best quality you can buy, it’s packed full of taste and flavour. I have a coffee machine that takes beans and when I used this coffee the smell that filled my kitchen was divine. 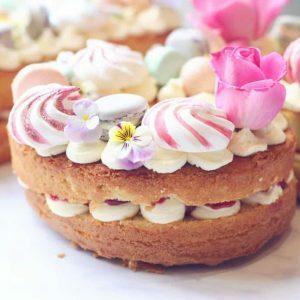 Delivery is free and £1 from every box sold is donated to The Blurt Foundation to help children and adults in the UK who are affected by depression. 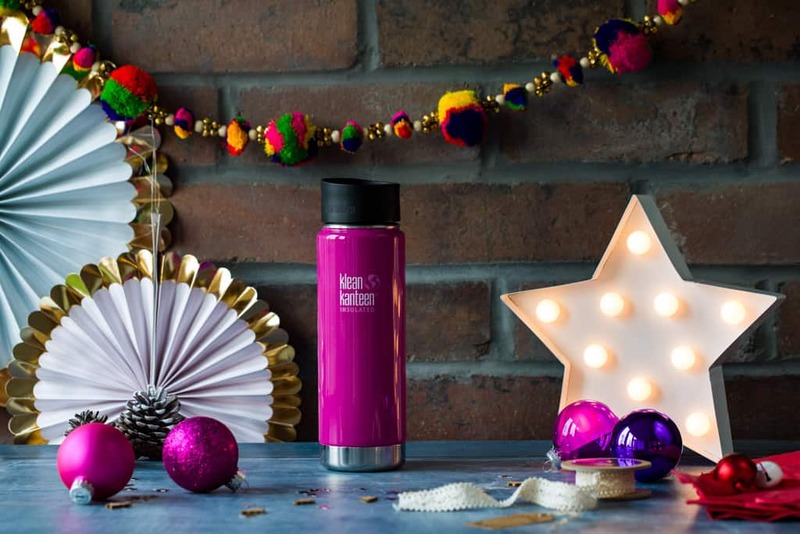 Klean Kanteen are stainless steel reusable water bottles and tumblers. They’re perfect for the foodie on the go. Whether you are in need of morning coffee or an afternoon iced tea, the Klean Kanteen will keep its contents hot or cold for up to 4 hours. 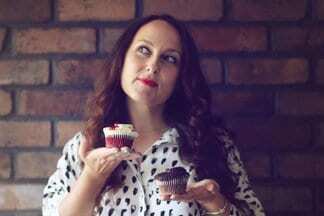 Perfect for mums who ‘eventually’ get to their coffee – I feel you! Each product has a chip-resistant coat and is made from environmentally-friendly materials. And considering most coffee shops will give you money off for bringing in your own reusable cup, this is a no-brainer. They come in a range of snazzy colours too! 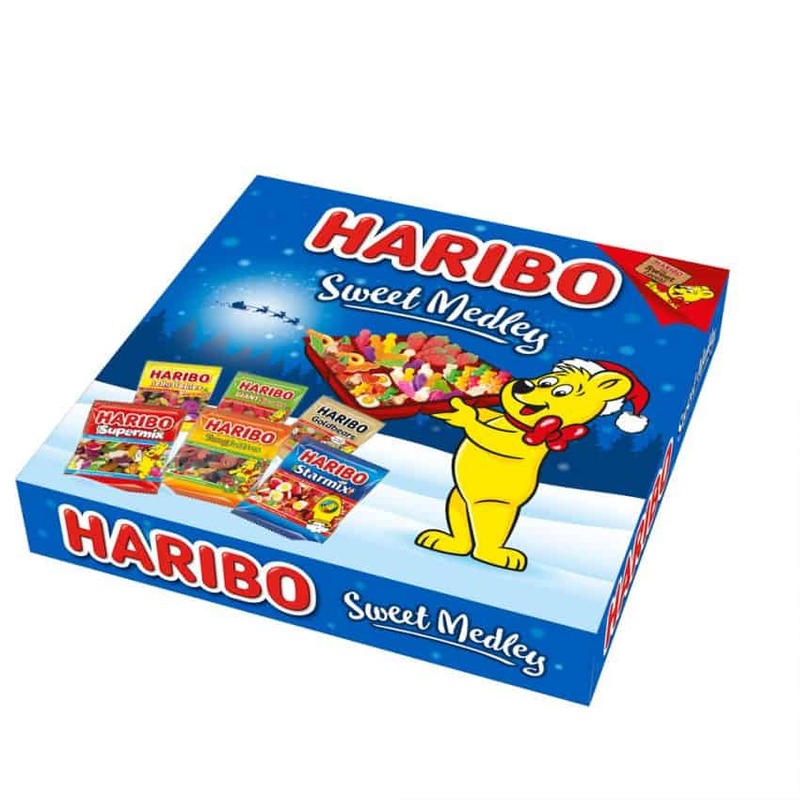 Haribo is our go-to sweet treat for Christmas stockings this season. Top of everyone’s Christmas list is the Haribo Fairyland Gift Box with its enchanting mix of unicorns and fairies. Each festive set has had a little bit of Christmas magic sprinkled on it, including favourites such as the Giant Strawbs made to look like Christmas Trees! There we have this year’s Christmas Gift Guide and I hope you find something you love. Keep an eye out for my Wine, Beer and Spirits Christmas Buying Guide that’s coming this week. Check out my 5 Best Advent Calendars for 2018. 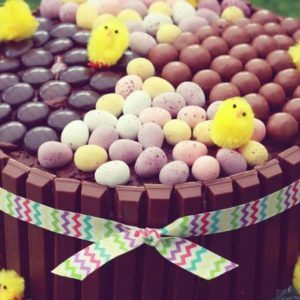 I love love love the idea of the chocolate and coffee subscription! I know so many people who would really enjoy that gift – and nothing gets wasted, because you always need chocolate and coffee! One of my favourite things to get as stocking fillers is a bar of nice dark chocolate alongside a jar of tasty flavoured coffee. Perfect as a fun little gift!